Sydney, March 2003. 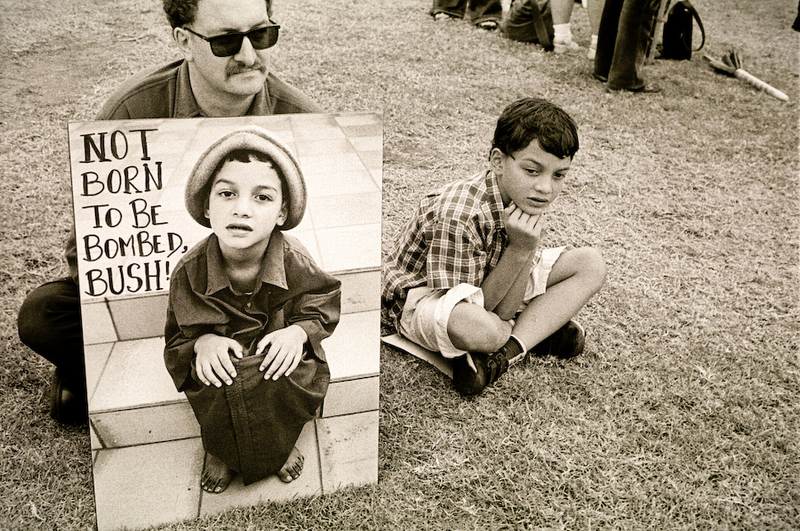 A protester holds a sign showing a photograph of the young boy beside him. Aww this little boy is adorable! Previous PostPrevious $tupid / World Peace Is..